Vitamin D: How Does It Impacts Exercise And Athletes? Vitamin D is one of those vitamins that almost everybody lacks in some way. Primarily obtained through exposure to sunlight rather than in food sources, it can be difficult to make sure you're getting enough. This is particularly important for athletes – or indeed, anyone who exercises! Let's run through what Vitamin D actually does, and how these effects can benefit you. One of the major things Vitamin D is responsible for is helping our bodies absorb calcium. Most people are aware that calcium helps with bone growth and strength, but this isn't all it does. It helps regulate muscle contractions – in particular, your heartbeat, and it's vital for the process of blood clotting. All three of these benefits are vital to athletes. Having strong bones is important – after all, you want to reduce your risk of injury as much as possible. Regulating the heart-beat in particular will come in handy for those endurance runs! In addition, keeping your blood clotting regularly is useful for recovering from any injuries you may have. Often, when people see this they consider upping their calcium intake but this is less effective than upping your Vitamin D intake. After all, no matter how much calcium you have going in, it won't be beneficial if your body can't absorb it. 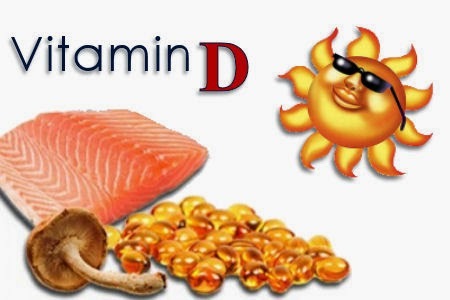 Another major benefit to vitamin D is the way it reduces inflammation. There's a substance known as “cytokines”, which can be either pro or anti-inflammatory. Vitamin D encourages the body's production of anti-inflammatory cytokines, whilst reducing the amount of pro-inflammatory cytokines. This means that you'll have less issue with inflammation, reducing the recovery time between workouts – a vital part of building a useful exercise routine. If you're an athlete or aiming to be one you'll know about the importance of staying healthy. Having even a mild cold can reduce the efficiency of your workout schedule. Alongside Vitamin C – which is great for boosting the effectiveness of your immune system – Vitamin D is proven to reduce your risk of catching these everyday colds. In particular, if you're aiming to increase your muscle mass/strength, you should be checking how much vitamin D is in your diet. Recent research suggests that low levels of vitamin D can lead to 'fatty muscles' – as in, fat infiltration into muscle tissue. This lowers strength and can affect how your body functions, so it's well worth avoiding. In addition, it regulates neuromuscular functioning – which helps with protein synthesis. Research suggests that those with deficiencies are likely to have muscle wasting, something you really want to avoid. But just what are the best ways to increase your intake of Vitamin D? As we mentioned earlier, the most efficient source is exposure to sunlight. One way to boost this is to swap some of your indoor exercise for outdoor exercise – going running rather than using a treadmill, for instance. Of course, you'll want to make sure you're careful about getting too much sun exposure – it's finding a balance that matters here. Additional routes are the few foods that do contain Vitamin D – oily, fatty fish, tofu, fortified cereals, eggs, dairy, nuts and beans – or supplements. Vitamin D Supplements are certainly the easiest route to take, but be careful on your intake – with it being fat-soluble, it's easy to accidentally take too much! By Edward Francis at Supplemented.co.uk!